Piqua’s Iverson Ventura fires a strike against Russia Saturday at Hardman Field. 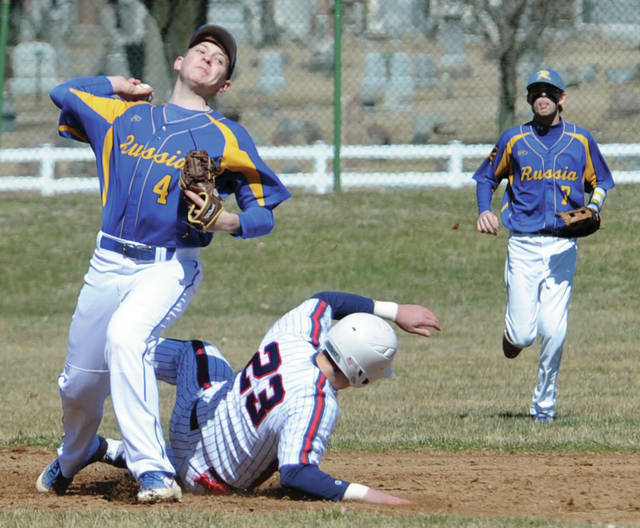 Russia’s Drew Sherman throws to first as Piqua’s Mick Karn tries to break up a double play Saturday. 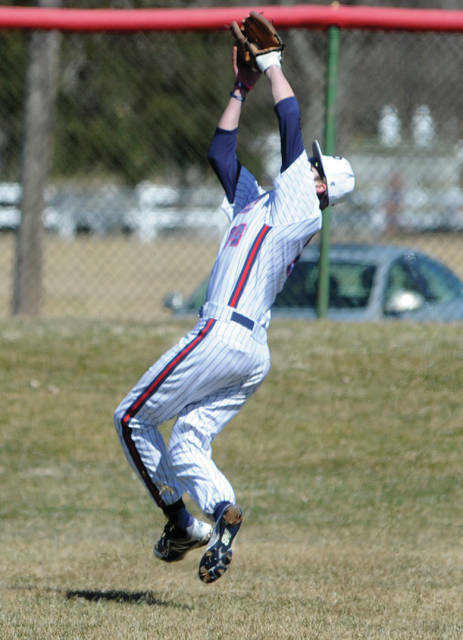 Piqua rightfielder Blane Ouhl hauls in a fly ball against Russia Saturday. 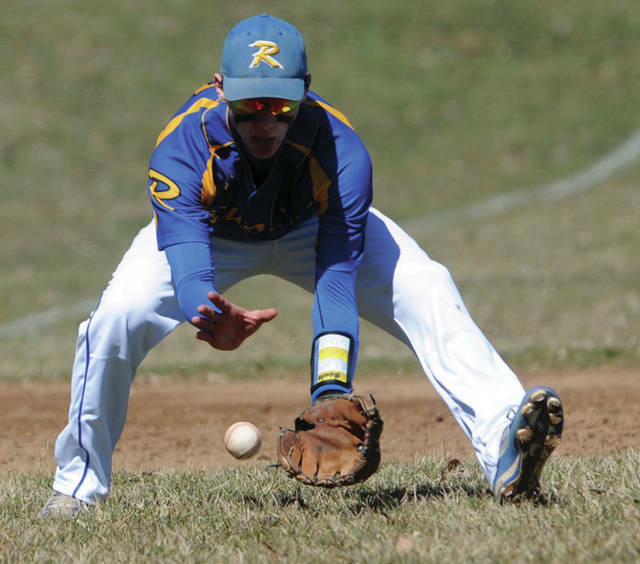 Russia third-baseman Aiden Shappie makes a play on a ground ball Saturday against Piqua. Piqua’s Mick Karn drills a single against Russia Saturday at Hardman Field. 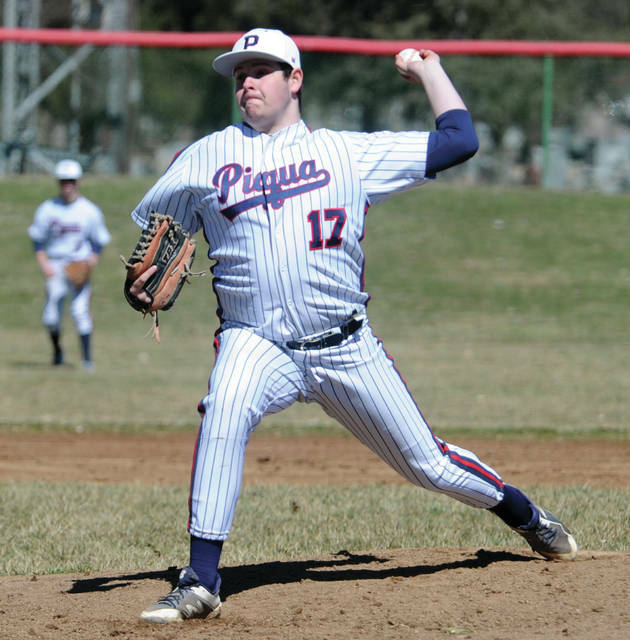 But, both Russia and Piqua baseball teams had their moments in the season opener at Hardman Field. 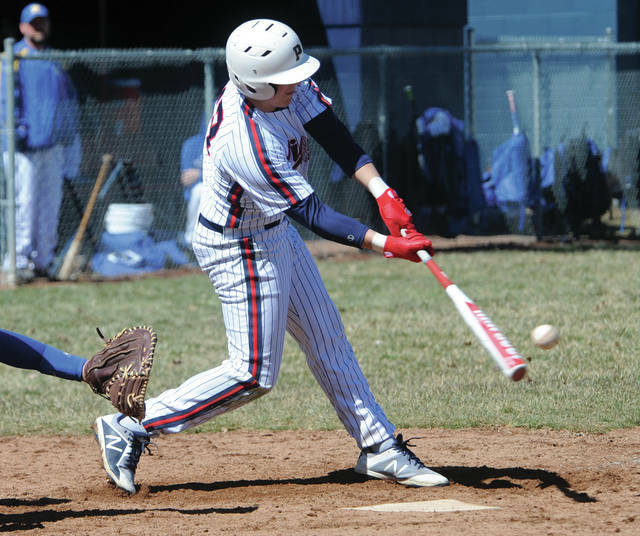 Piqua committed two of its eight errors in the opening inning as Russia scored two runs. Evan Monnier scored one run on a sacrifice fly and starting pitcher Daniel Kearns had s single to make it 2-0.